Enjoying afternoon tea while perched on a gilded hotel armchair is a fine British tradition, which has thankfully found its way into today’s societal way of life. 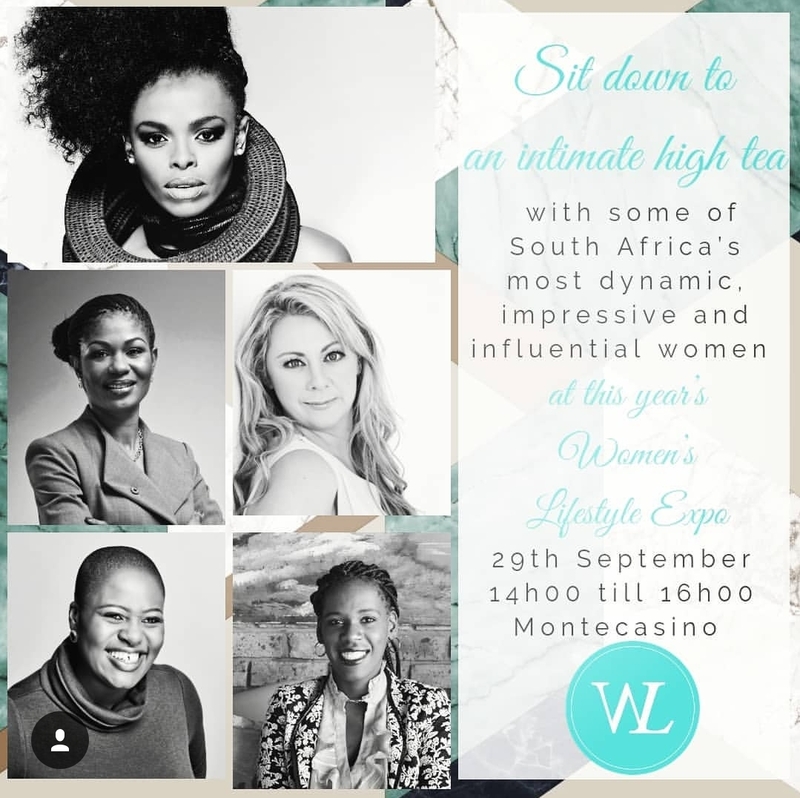 The Women’s Lifestyle Expo presents you with the opportunity to sit down to an intimate High Tea with some of South Africa’s most dynamic, impressive and influential women at this year’s Expo (#WLE2018). Guests will be treated to a sumptuous tea while hearing how these phenomenal women managed to achieve their success; balancing demanding careers and motherhood and still managing to embrace their femininity. This sumptuous networking opportunity will be taking place on Saturday, 29 September from 2pm to 4pm at Joburg’s Montecasino Piazza Ballroom. “The Women’s Lifestyle Expo High Tea will give you an opportunity to feed your inner goddess in a space that is energising and empowering and where women from all walks of life will get to interact, engage with and learn from some truly inspiring women.” – said Helen Johns, co-founder of Women’s Lifestyle Expo. Expect to sip on champagne and gin cocktails while enjoying delicious gourmet food. You will be able to enjoy one-on-one interactions and engage in relaxed discussions with the speakers and each guest will leave with a complimentary goodie bag so that they can continue their pampering experience at home. Tickets to the High Tea are R650 per person – which includes access to the entire Women’s Lifestyle Expo – and can be bought from www.itickets.co.za. With limited space available, you’re urged to book now to avoid disappointment. Tickets: R180 per person per day for a general entry ticket. As a woman who is all about Women Empowerment and indulging in the finer things life has to offer, #WLE2018 is my little piece of heaven. I’m not sure what I’m looking forward to more … the fitness, shopping, spa treatment or the highly anticipated High Tea. Actually, now that I think about it I will be attending both days as I seriously want to indulge in every experience that the Women’s Lifestyle Expo has to offer. The only thing left to figure out is what I will be wearing to the High Tea of 2018. I look forward to seeing you lovelies at the Women’s Lifestyle Expo.